I felt that I needed to write some information about aromatherapy for depression because I feel very strongly that these medicines can make a huge difference to peoples moods but on their own they may not be enough to mend a person. The reason that we recommend aromatherapy for depression is that essential oils have an incredible effect on emotions and moods. Want to talk more about aromatherapy can help your depression? Have a look at this page. It is powerfully effective at stimulating the part of the mind called the limbic system that connects the endocrine system and the autonomic nervous system. For those who skived human biology, I'll remind you that your endocrine system controls hormones, your hypothalmus is in charge of long term memories and regulates hunger, thirst, heart rate, sexual arousal and sleep cycle. In the midst of al these glands sits the Piriform cortex which relates to our olfactory system and the process of smell. Now we have established that essential oils can absorb through the skin and flush round the blood system and actually the molecules in essential oils are so small that they are one of only a tiny number of substances that can actually cross the blood brain barrier. It's certain that scents affect our moods when we smell them, because the sinuses are the only nerves that go directly to the brain without going through the spine. But there's more to the way that aromatherapy for depression works. Once the oils are in your system they start to nudge at your hormones. They start to unlock old memories. They start to play tiny tricks with your brain. Certainly they are balancing and grounding and uplifting like all the books tell you but there are twists and turns in the intricacies of the magic of the oils. They can open doors in your brain that you would never imagine. Sometimes they can open ones that perhaps you would prefer stayed locked. The fact that you have found your way to this page implies to me that you want to find use aromatherapy for depression because you feel that you or someone close to you is struggling. Perhaps you are facing difficult times in life such as divorce or grief or perhaps life just seems very hard right now. Sometimes it can be as simple as something like realising that middle age is approaching and you are starting to suffer from mid-life depression , that can really rock your identity. Menopausal or even just down right fed up with lonely of trapped in your life. Even if you're dealing with trauma related depression and chronic anxiety, aromatherapy can be an effective way to find relief. I do recommend that you should try a little aromatherapy for depression of any type. I have tried to break down the complexity of the feelings that you may be feeling and tried to elaborate in more depth which oils that I would use in your place. 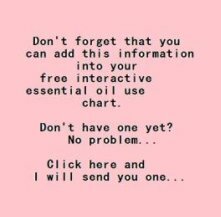 I'm certain that as you allow the oils to unlock your brain, you may find that you react to situations differently. Sometimes that is a positive thing, but also as your mind starts to unravel memories that maybe are contributing to how your feeling you may start to feel angry, or tearful for no apparent reason. It is kind of trendy in complementary medicine circles to say this is a good thing, that it is your body healing yourself and that its exactly what you should be looking for. I don't subscribe to that point of view. Feeling bad makes you....feel bad. It's true that you may need to face these feelings but desperation on your own is bloody painful and it's very dangerous. Try aromatherapy for depression, by all means. In fact I would wholeheartedly recommend it with no reservations. But please, do not see it as a complete healing tool if you start to feel that you can't cope, please please seek out a good counsellor or therapist to support you and work through the things that your start to discover about yourself. Each sad emotion can certainly be helped by an oil, but sometimes a sad emotion can be a hiding place for another hurt entirely. Ok so that said...definitely try aromatherapy for depression. Its powerful but gentle. 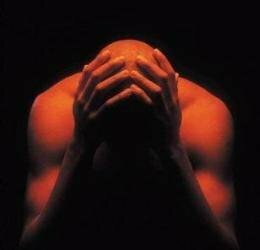 It's worth contemplating too, I think, if you can pinpoint areas that may be affecting your mental health, and perhaps this page can help you do that. There are just a few notes here if you are worried about using aromatherapy because you already have medication that the doctor has given you. Emotions Chart of Aromatherapy for Depression. Anger - Sage*- Fierce violent wrath, Ylang ylang - regains balance and perspective; helps to "let go". Frustration - Anise*, helps you to bide your time, Citronella - helps ideas flow, Niaoulli-breeds patience, Jasmine -sexual problems and frustration, Marjoram for enforced celibacy. Courage - Frankinense for confidence, Thyme helps to recognise self-worth. If you wanted to try aromatherapy for depression and you wanted to buy new essential oils I would recommend Mountain Rose Herbs if you are in the US or overseas or Amphora Aromatics Retail if you're in the UK. For additional ideas and information in how to deal with depression why not visit professional-counselling.com Many thanks to all of the talented artists at PhotoBucket for their contributions to this Aromatherapy for depression page.